Just when you thought the price of the Fitbit Versa couldn’t get any better, it goes plummeting down even more. 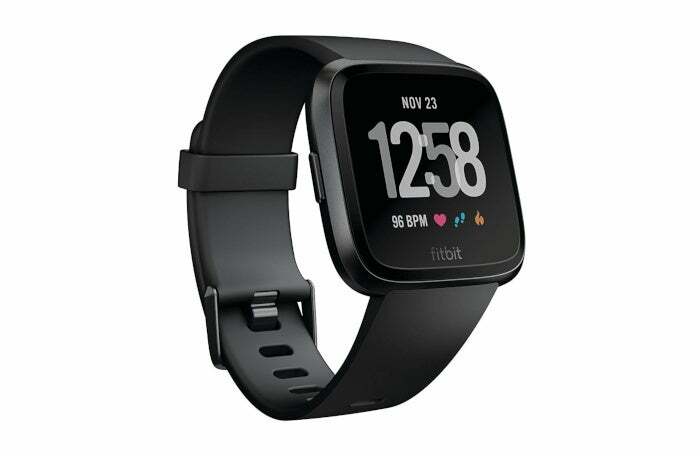 Amazon and Macy’s are selling the Fitbit Versa for $90 right now, which is far, far under the $150 sale price we saw around Black Friday. The Versa is a smart watch that includes the usual Fitbit specialties, including 24/7 heart rate monitoring, step tracking, and sleep tracking. It also has room for more than 300 songs with integrations for Pandora and Deezer, and smartphone app notifications. The Versa can track more than 15 exercise modes to record your workouts, it connect to your phone for GPS tracking, and offer on-screen coaching. The Versa is also water resistant up to 50 meters (164 feet), has a touchscreen display, and a battery life promise of four days or more. If you’re looking at this as a possible Christmas present then you’re probably out of luck. Amazon is currently out of stock but is accepting orders at the sale price. The watch will start shipping on January 10. Macy’s, meanwhile, had the watch in stock at this writing, but usually ships online orders within 5 business days, likely putting it out of reach of next Tuesday. You could, however, see if it’s available at a store near you and arrange for free pickup.